More than 21,000 recordings were submitted, and 13,000 people voted. Now the Recording Academy has revealed the nominees for the 2019 Grammy Awards. It’s a year of upheaval, with several major artists overlooked in favour of fresh, new, agenda-setting talent. Holy heck, why are there so many nominees? The Grammys aren’t exactly known for their brevity; and this year’s list of nominees runs to 84 categories across a rainforest-destroying 55 pages. Matters haven’t been helped by the decision to expand the marquee categories – album of the year, record of the year, song of the year and best new artist – to eight nominees, instead of the traditional five. 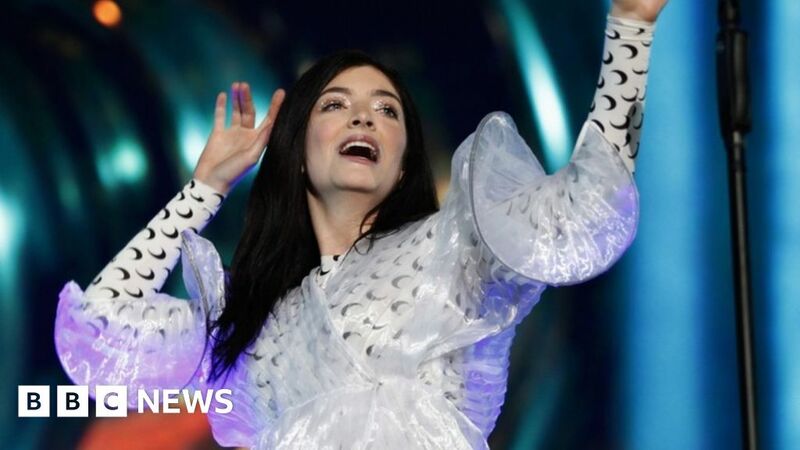 The idea was to improve diversity , following criticism that only one female artist (Lorde) was nominated for best album last year; and that genres like jazz and classical were being overlooked. Not that you’ll actually find any jazz or classical in those categories in 2019 but, hey, it’s the thought that counts. Instead, the extra slots give exposure to some lesser-known artists including R&B star H.E.R; experimental vocal group Chloe x Halle; and retro rock band Greta Van Fleet – who are the only guitar-led act to feature in the main categories. He didn’t even have an album out this year, but Kendrick Lamar wins eight nominations thanks to the soundtrack for Black Panther, which he curated and produced at the start of 2018. The single All The Stars, featuring the Compton-born rapper his label-mate SZA, is up for both record and song of the year; while the album itself becomes the first movie soundtrack to be nominated for album of the year since 2002. Back then, it was the Coen Brothers’ O Brother Where Art Thou that secured a nomination – and it went on to win the main prize. Can King Kendrick do the same? Over the years, Beyonce and Jay-Z have had multiple opportunities to practice their “gracious loser” face at the Grammys – with neither artist winning best album, despite multiple nominations. “What does Beyonce have to do to win album of the year,” asked a mystified Adele at the podium in 2017, having just beaten the star’s Lemonade record to the main prize. This year, though, it got worse: The couple’s joint album Everything Is Love failed to secure a nomination in any of the big four categories. Maybe Jay-Z’s attack on the Recording Academy made voters uncomfortable (“please inform the Grammys that the 0-for-8 situation is unacceptable,” he says, in slightly more colourful language, on the single Apes***). The record still gets a couple nods in the urban and video categories – but that raises the question of whether the couple, who’ve historically been a front-row fixture at the ceremony, will see fit to boycott the event? Kanye and Drake have done it in the past… but we’d be gutted to miss another moment like this. With Bodak Yellow, Cardi B became the first female rapper to top the US charts without a featured artist since Lauryn Hill in 1998. That song’s success earned her two Grammy nominations last year – putting her out of contention for best new artist this year – but she’s cleaned up in five other categories. Her critically-acclaimed debut album, Invasion of Privacy, is up for best rap album and album of the year; while her Latin-flavoured party anthem I Like It is a strong contender for record of the year. She’s one of pop’s biggest stars but Ariana Grande has never won a Grammy. That could change this year, with her cathartic, confessional Sweetener album up for best pop record and the single God Is A Woman up for best pop vocal. But it’s a surprise to see her omitted from the big four categories, given the emotional and cultural impact she’s had over the past year. Even more unusual is the total absence of No Tears Left To Cry, her uplifting response to the Manchester Arena bombings, from the nominations list. Was Taylor Swift also robbed? Taylor Swift is a darling of the Grammys, with 10 wins under her belt – including two album of the year awards. But the Academy has no love for her Reputation album, which gains a single nomination in the pop category. The signs were there last year, when the record’s first single, Look What You Made Me Do, failed to secure a nomination – but after selling two million albums, breaking YouTube records and staging the highest-grossing tour of 2018, many assumed Swift would walk away with a clutch of nominations. It wasn’t to be – but voters beware. Swift buries hatchets, but she keeps maps of where she put ’em. The holder of precisely zero top 40 singles in the UK, Kacey Musgraves is nonetheless one of the biggest stars in her home country. The Texas native wrote songs for Martina McBride and Miranda Lambert before getting a deal with Mercury Records in 2012 – but her new album, Golden Hour, tweaks the traditions and challenges the conventions of country music. For the crime of dispensing with tradition, Musgraves was frozen out by the small-minded, conservative world of US country radio, receiving almost no airplay – which made it all the more surprising (and gratifying) when she picked up album of the year at the recent Country Music Awards. That sets her up for a successful Grammys where voters are likely to respond to Golden Hours’ timeless melodies and effortless charm. There were plenty of political moments at the 2018 Grammys – Kendrick Lamar rapping about black power, Kesha addressing the #MeToo movement and Camila Cabello’s poignant speech about immigration. But the awards themselves played it safe – rewarding Bruno Mars’s airbrushed R&B at the expense of Jay-Z and Kendrick Lamar. This year could be different, with Childish Gambino’s powerful and singular This Is America nominated for both song and record of the year. The song’s brutally compelling video, meanwhile, is surely the only real contender for video of the year. There could also be recognition for Dirty Computer – a bold and funky album from Janelle Monae that tackles identity politics, gender fluidity, discrimination and the battle for America’s soul. Responding to her nomination on Friday morning, the singer said: “This album is so much bigger than me. It’s not about me, it’s about marginalised voices. Guns N’ Roses could win their first ever Grammy for the deluxe edition of 1987’s Appetite for Destruction – an album which didn’t receive a single nomination the year it was released. Post Malone was barred from competing in the rap field because his album doesn’t contain enough rapping. He was also ruled out of the best new artist category for being too popular! Kanye West – one of hip-hop’s most innovative and respected producers – receives his first ever nomination in the producer of the year category for the sequence of five albums he worked on this year – including Pusha T’s Daytona, Teyana Taylor’s KTSE and his own record, Ye. Drake is back! After withholding his More Life mixtape from consideration last year, he’s all over the 2019 nominations list with his attention-sapping double album Scorpion. Dua Lipa and Jorja Smith are the first British stars to be nominated for Best New Artist since James Bay in 2016. The soundtrack to A Star Is Born was released after the eligibility period – but one song, Shallow, was released as a single days before the deadline, and earned nominations for both record of the year (recognising everyone who worked on the track) and song of the year (which goes to the writers). It’s likely to be a big Oscar contender, too. Sting and Shaggy get a nomination for best reggae album for their weird-but-not-awful-but-still-what-were-they-thinking collaboration 44/876.